Are you a florist looking to take your business and blooms to the next level this year? Junebug Weddings is partnering up with Roadside Blooms for The Foraged Collective, a 3-day ethereal inspired floral workshop. Hosted in Charleston, South Carolina, this floral intensive will take place August 1-3 2017. Engage in an intimate workshop experience with hands-on instruction by three of the most inspiring florists in the industry: Katie Davis of Ponderosa & Thyme, Alicia Rico of Bows + Arrows, and Jennie Love with Love ‘n Fresh Flowers. 3-days of hands-on intensive instruction. Instructors will get into the nitty-gritty of color theory, design fundamentals, and mechanics so that attendees also learn the “why’s” of their techniques. This will make the skills and lessons learned easily transferable to your own work flow and aesthetic. With only 25 attendees, you will benefit from meaningful interaction with each instructor. You will have lots of opportunity to ask them any questions about design, their work flow, business model, etc over the course of the 3 days. You will have the opportunity to create swoon-worthy bouquets, centerpieces, wearables, and large unique installations. All of your designs will be professionally photographed and you will be given all rights to them. You’ll learn how to take excellent phone photos of your work for social media and how to boost your following. 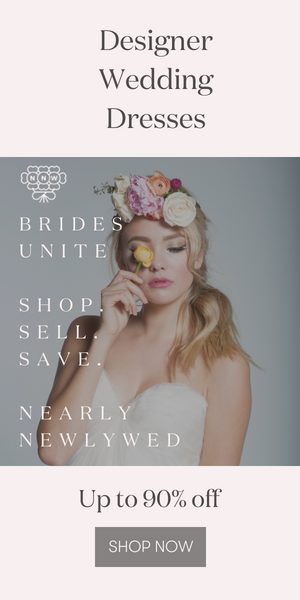 An opportunity to interact with a Junebug Weddings representative and learn what bloggers are looking for and how to submit a winning submission. Get a 1 – 1 portfolio and website critique with the Marketing Manager and an Account Executive from Junebug Weddings! What priceless feedback! All materials provided for the workshop including flowers, containers, clippers, apron, and swag bag. The workshop will be located in one of the most beautiful places in our fair city, the Historic Parsonage House. Think quintessential, charming Charleston architecture with double piazzas and a private garden courtyard. Lodging is not included, however room blocks have been negotiated and will be sent upon registration. Meals to include 3 breakfasts, 3 lunches, 3 cocktail hours perfect for mingling, and snacks and beverages. Nightly cocktail hour in the courtyard! Charleston is a serious foodie town and dinner recommendations will be provided. Each participant will receive beautifully photographed images of their work as well as action shots with all rights for portfolio and marketing use. Uber is the best way to get to and from the airport. Once downtown, everything is within walking distance. In order for attendees to receive a meaningful hands-on experience, space is very limited. Katie is an international wedding florist based in the heart of the Willamette Valley near Portland Oregon. Best known for her textural designs inspired by nature, Katie uses the most luxurious and beautiful flowers available while incorporating locally foraged, unique and sensory plants into each arrangement for a visually breathtaking experience. Katie’s work can be seen in many of the top wedding publications and blogs such as Magnolia Rouge, Style Me Pretty, Brides, Wedding Sparrow, The Knot, Wedding Chicks, Ever Ours & Grey Likes among others. Alicia of Bows & Arrows Flowers is part of a husband & wife floral-design duo with a rich background in fine arts—namely, painting and sculpture. Internationally renowned, they have executed weddings around the world in places such as Thailand, Puerto Rico, Mexico, and France. With over ten years of floral experience and more than 150,000 Instagram followers, their work has been featured in publications such as Martha Stewart, The Knot, and Southern Weddings. Alicia is named by Martha Stewart Weddings as one of nation’s top florists. Jennie is a trained horticulturist and life-long farmer who first began flower farming in 2007. Her natural niche as a “farmer florist” for wedding and special event design, has lead to her becoming a recognized leader in the local flower renaissance with her distinctively lush and textural creations. She has been prominently featured in major press, including the New York Times as well as in numerous, magazines, style blogs, and books. Jennie is currently Vice President for the National Association of Specialty Cut Flower Growers and writes regularly for Cut Flower Quarterly. Jennie is named by Martha Stewart Weddings as one of the nation’s top florists. This amazing opportunity will fill up fast, so register now! We can’t wait to meet you in Charleston!